American Conservatory Theater (A.C.T.) nurtures the art of live theater through dynamic productions, intensive actor training in its conservatory, and an ongoing engagement with its community. Founded in 1965 by William Ball, A.C.T. opened its first San Francisco season at the Geary Theater in 1967. A.C.T. solidified its national and international reputation in the 1970s, winning a Tony Award for outstanding theater performance and training in 1979. During the past four decades, more than 320 A.C.T. productions have been performed for an audience of seven million people. A.C.T. is internationally recognized for its groundbreaking productions of classical works and bold explorations of contemporary playwriting. A.C.T. continues to produce challenging theater in the rich context of symposia, audience discussions, and community interaction. The A.C.T. conservatory, which serves 3,000 students every year, counts Danny Glover, Annette Bening, Denzel Washington, and Anika Noni Rose among its distinguished former students. With its commitment to excellence in actor training and to the relationship between training, performance, and audience, the conservatory is at the forefront of America's actor training programs, while serving as the creative engine of the company at large. Play Synopsis: A teenage girl is trapped in a Japanese internment camp during the 1940s. She addresses the audience and talks about the disgusting, cramped, and very un-private conditions of her life in the camp: the neighbors, the lack of hygiene, the oily food. Then, something shifts and 1940 collides into today. 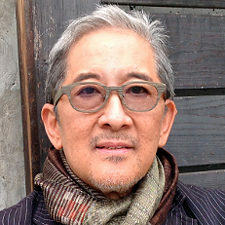 Philip Kan Gotanda has been a major influence in broadening the definition of theater in America over the last three decades, both through his plays and other artistic works and due to his advocacy. Gotanda challenged the thematic boundaries of the term “Asian-American Theater” by investigating interracial marriage in Yohen, generational conflicts of mixed-race children in The Wash, the historic intersection of African-American and Asian-American communities in After The War, and closeted gay Asian-American performers in Hollywood in Yankee Dawg You Die. Gotanda’s works are not limited exclusively to Asian-American issues; plays outside that genre include A Fistful of Roses, #5 Angry Red Drum, and The Avocado Kid Or Zen in the Art of Guacamole. Gotanda holds a law degree from Hastings College of Law and studied pottery in Japan with the late Hiroshi Seto. He is also a respected independent filmmaker; his film Life Tastes Good was presented at the Sundance Film Festival in 1999. Gotanda is the recipient of a Guggenheim Fellowship and numerous other honors and awards.